House Minority Leader Nancy Pelosi (D-Calif.) fired back at Republicans accusing Senate Majority Leader Harry Reid (D-Nev.) of lying about a Bain Capital investor telling him that Mitt Romney hadn’t paid taxes in 10 years. They don’t know what they’re talking about, Pelosi says. “Harry Reid made a statement that is true. Somebody told him. 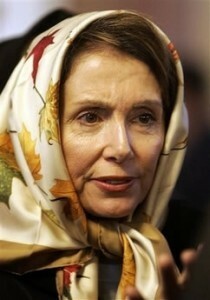 It is a fact,” Pelosi told The Huffington Post in a Sunday interview. “Whether he did or not can easily be disposed of: Mitt Romney can release his tax returns and show whether he paid taxes. The only way for Mrs. Pelosi to know for fact what somebody told Dirty Harry over the phone, was it was Mrs. Pelosi who phoned Dirty Harry. And that is a fact. So Mrs. Pelosi how did gain access to Romney federal tax returns, or did you simply lie to Dirty Harry?